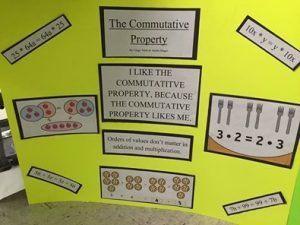 Who likes teaching properties in math? Anyone? I know, I know. They are not the most exciting topic to teach. It doesn’t help that they seem to come up in every math class from 4th grade through Algebra 2. But they are important! 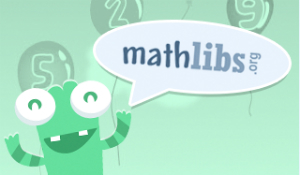 They help students understand the how and why behind a lot of concepts. 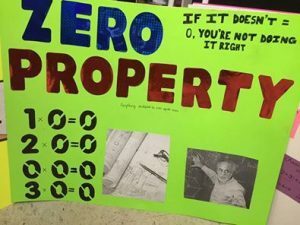 I was teaching an Algebra-prep summer school course about seven years ago and was trying to come up with a way for students to have a little more fun while learning properties. 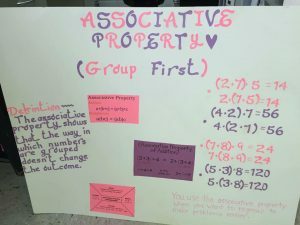 I came up with a “Sell That Property” poster activity where students are placed into groups (you can even do partners or have them work independently) and they are assigned a property. It is their job to create a poster to “sell” their property. 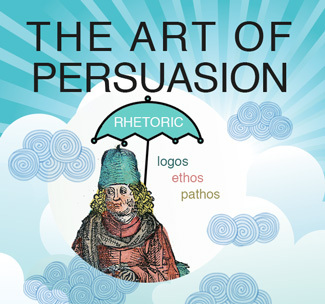 This includes defining it, showing why it’s important, coming up with a slogan for the property, and providing visuals. I often get asked for examples of this project, so I purposely wrote this blog post to share these! I no longer have examples from my own students, but here are some that others have shared with me! If you’re looking for a way to make properties more interesting, try this! Over the years, students have seemed to enjoy this project. It also usually falls at the beginning of the year, so it provides a way for students to get to know each other and begin collaborating. 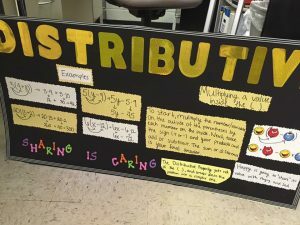 More details about this project, including a rubric, can be found within my Algebra 1 Algebra Basics Unit on TpT. 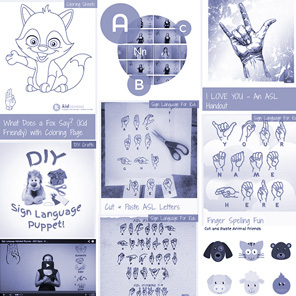 If you do this project with your students, consider sharing photos with me at allthingsalgebra@gmail.com. I would love to see them! !